Fun climb up a nice line, with some excellent fist jams. The large crack system at the left end of the crag. Begin by climbing to a ledge, then a hand/fist crack to the top. Also, from the ledge you can climb up the route 3 crack for ~10 ft then angle up a ramp to the right to meet the upper part of route 5, bypassing both cruxes. Nice ~5.8 lead. 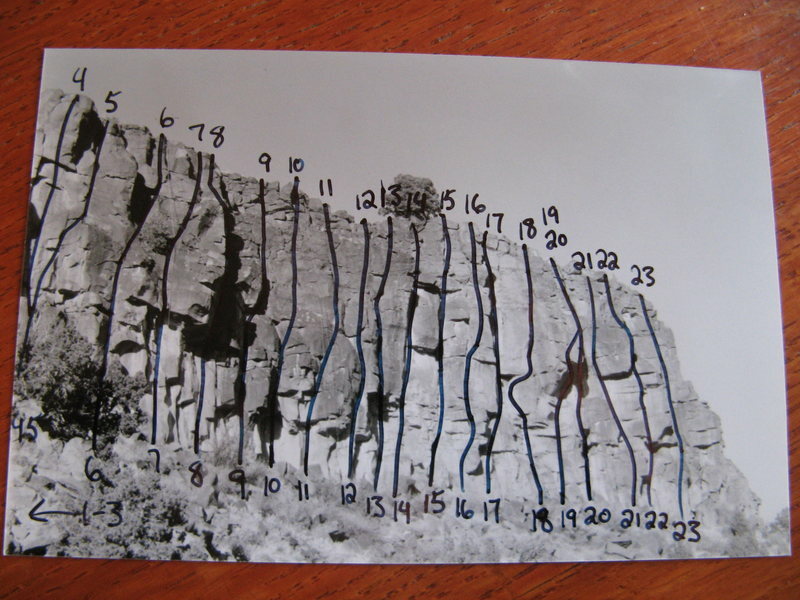 This climb is also listed as Beverly #5 (5.9) but is not in Jackson.